Interior decor is an art. People spend much time, effort and money on their homes offices and businesses in order to get that special finish and make it look as impressive and appealing as possible. 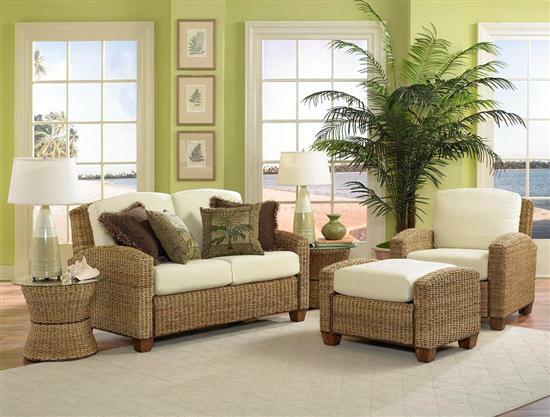 Great pains are taken to ensure that the furniture "blends in" with the surroundings. The carpets are made to match the curtains. Just any ordinary bulb sticking out of the ceiling is unthinkable. A variety of light fittings are positioned in the proper places so that the light may reflect in the best way. The right "tone" must be captured in the colour co-ordination. Several other trimmings and trappings are added for the final touch. Allah Ta'ala has also given us a month for interior decoration – a month to decorate our hearts. The month of Ramadhaan is a time to truly make our hearts sparkle and shine and to look truly impressive in the sight of Allah Ta'ala. The first part of interior decoration is to remove the cobwebs, scrape the rust and do a general thorough cleanup. The cleanup of our hearts requires sincere taubah. We will have to scrape off the rust of sin, remove the filth of jealously, sweep out the dirt of malice, scrub away the pride and generally wash away all the evil within us with the flowing tears of earnest and sincere repentance. The preferable procedure of repenting is very simple. Dedicate some time in solitude. Perform a proper wudhu (ablution). Take care to fulfil all the sunnats and etiquettes of wudhu. Thereafter get on to the musalla (prayer mat) and perform two rakaats of nafl salaah with the intention of the salaah of taubah and then let the tears of repentance flow. If the eyes cannot cry just let the heart weep. Weep over our utter ingratitude. Beg Allah Ta'ala's forgiveness by saying: "O Allah . . . You granted me a heart to fill with love for You ... but I filled it with the love of the world ... with even haraam love ... O Allah forgive me. You granted me legs and feet to walk to the musjid and to places that You love ... but I walked to the dens of vice ... please forgive me. You gave me hands to raise unto You, to hold the Quraan and to assist the needy ... but I used it to touch what You forbade to indulge in illicit "chatting" on my phone and to take away what belonged to others ... forgive me O Allah ... I ate the sustenance that You provided ... and then used the energy to disobey You ... please forgive me ...." This is just a little example. Simply weep over every sin perpetrated and wash the heart clean. However, when washing the heart with the tears of repentance the detergent that is compulsory to use is the deep regret for having transgressed the laws of Allah Ta'ala and the firm determination that one will not return to the sin in future. After removing the filth, rust, and dust, the internal decor must commence. The purpose of fasting is to decorate the heart with taqwa – the fear of Allah Ta'ala and the constant awareness that Allah Ta'ala is watching. While fasting one refrains from all eating and drinking even if one is very hungry and thirsty. Why? Simply because it is the command of Allah Ta'ala . . . and Allah Ta'ala is watching . . . and Allah Ta'ala knows. Likewise, no more gambling, drugs, zina, illicit chatting, looking at haraam, stealing, etc., because . . . Allah Ta'ala is watching . . . Allah knows. Taqwa also requires the fulfilment of all the obligations of Deen, Salaah, Zakaat, Fasting, Haj, etc. The heart with Taqwa indeed is a billion times more sparkling and impressive in the sight of Allah Ta'ala than the most expensive decor that money can buy!!! Ramadhaan is also a month to decorate the heart with various other important trimmings and accessories. Rasulullah (sallallahu alaihi wa sallam) is reported to have said that Ramadhaan is a month of patience and compassion. Therefore, paint the heart in the soft shades of patience. Tint it with the colour of tolerance. Give the heart an elegant look by draping it with compassion. With patience and compassion we can change the world around us. Patience will help us to be obedient to Allah Ta'ala as well as to be content. Compassion will enable us to feel the suffering of millions of people around us and make us do something to reduce their pain. The millions squandered in wasteful and even forbidden things will then easily and happily be channeled to the poor and needy. Together with the above, the beautiful trimmings of humility, generosity, forgiveness, etc. have to be included in this heart to make it truly shine. It will shine in the sight of Allah Ta'ala and His angels. It will sparkle on the day one passes away - that day when we will be removed from the shining car, the magnificently decorated home, the glittering jewellery and all the other trimmings and accessories. It will shine on the day of Judgement – when all our beloved possessions of this world would have long become dust. This Ramadhaan let us not waste much time in acquiring glittering garments, dazzling jewellery and shining shoes to decorate ourselves for 'Eid. While cleanliness and neatness are essential on the outside, the greatest effort must be made to decorate the inside – the heart. This nevertheless does not happen merely by reading an article. We will have to spend time in Allah-fearing company and environments of taqwa. These qualities will then insha-Allah rub off on us. May Allah Ta'ala enable us to truly adorn and decorate our hearts. Aameen.